Living in Orlando spoiled me a bit because their food truck scene has become a staple of the city's cuisine. In Washington D.C, the scene is a less organized, but there are tons of trucks that call the city home. I have followed The Corn Factory for awhile, and have eagerly awaited checking out their menu of arepas, tacos, and tamales (my favorite foods in the world). Because they jump around the city and only work on weekdays, it was tough to align schedules, but I finally was able to check them out on a recent visit. The Corn Factory is the first dedicated gluten-free food truck I have found in the district, and I couldn't wait to check them out. On a blustery, chilly day, I was able to catch them at the State Department, their usual Friday hangout. With the whole menu gluten-free, the question becomes "what to order" now that "what's safe" is answered. I waffled awhile debating between the different offerings (knowing I could not order everything off the menu at once). Dairy is pretty easy to avoid too, just skip the cheese as an add-on. As a taco aficionado, I had to get an order of the tacos. These come in a trio and are topped with the traditional garnishes of cilantro and onion. I loved that the tacos were double-wrapped and were stuffed with meat. 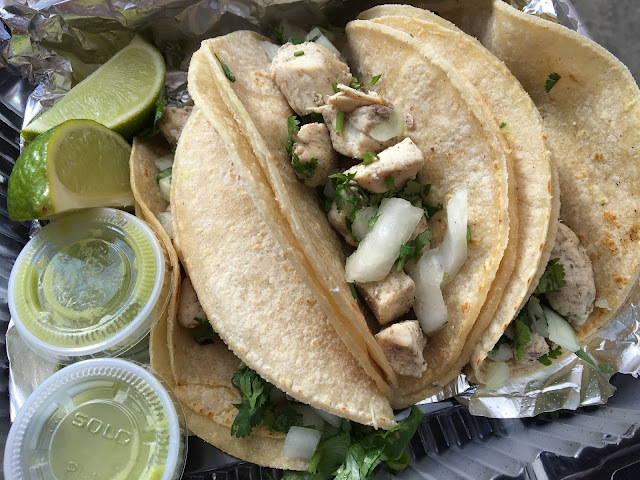 A squeeze of lime definitely brought some bright boldness to the flavors of the potent onions and cilantro. Though these tacos were simple in construction, they were incredible. 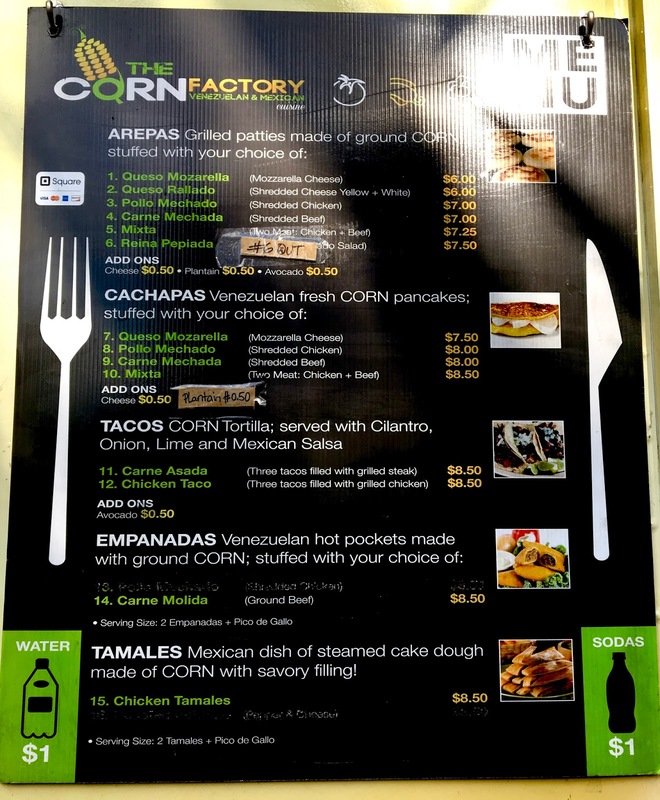 Wanting to diversify my review, I also ordered a chicken arepa, which was topped with avocado. I loved the grilled taste of the corncakes and that they were soft inside and crunchy on the outside. The shredded chicken was tender and spicy (not too much though), and the avocado added a creamy coolness that was a welcome contrast. The arepa was conveniently wrapped to minimize the mess, and definitely earned a solid two thumbs up from me. 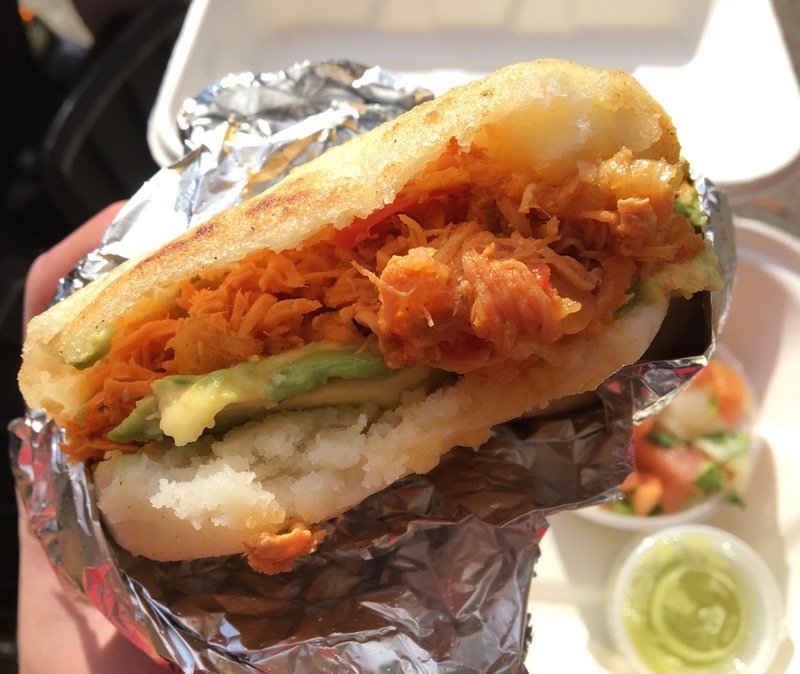 This arepa was darn good, and I dare say the best in the district. 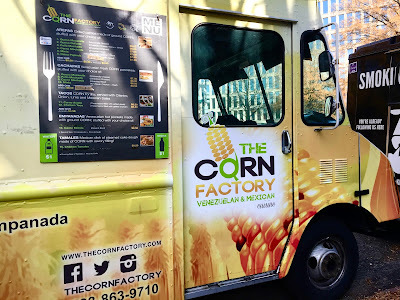 My only complaint about The Corn Factory is that they are not a brick and mortar store. If they were, I think I'd eat every meal there, as there were so many tantalizing options on the menu. I definitely need to seek them out to try their cachapas, tamales, and empanadas. The quality is impressive, the taste divine, and the prices are amazing in a city where eating is an expensive endeavor. As an added bonus? The staff were super friendly and patient as I debated about what to order. If you couldn't tell by now, I'm a huge fan! Address: Location varies, follow their Twitter for up-to-date info.